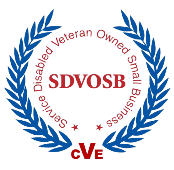 Lawhorn Systems is a Service-Disabled Veteran-Owned (SDVOSB) and Minority-Owned Small Business dedicated to serving the federal market. Headquartered in Aberdeen, MD, LS is committed to leading the way through high quality results in program and project management. We bridge the gap between strategy and action. LS provides the federal agencies with mission-critical support services in Systems Engineering, Program Management, Information Technology, Telecommunications, Operation Readiness, Training, Modeling and Simulation, and Test and Evaluation Support.